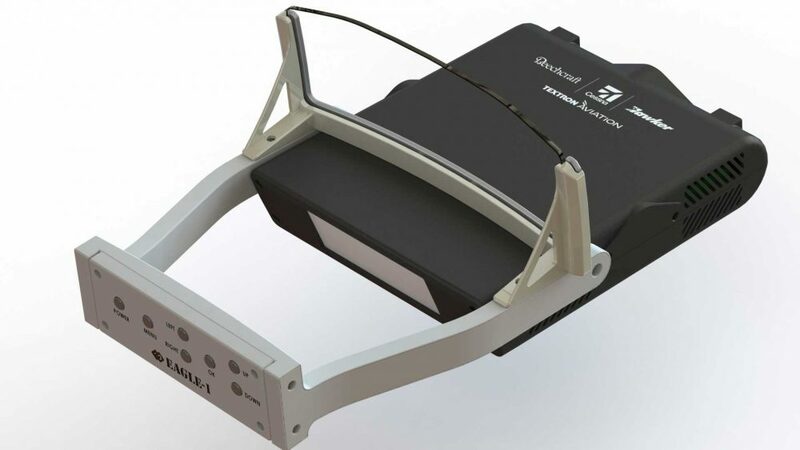 Textron Aviation is offering a low-cost head-up display for its piston engine aircraft from Cessna and Beechcraft as an aftermarket accessory. The Epic Eagle Head-up Display (HUD) is designed for light general aviation aircraft. It’s claimed to minimise distractions by equipping pilots with flight and navigation information on a full colour HD display for enhanced situational awareness. The $2,000 HUD was on display at last week’s Sun ‘n Fun fly-in & expo in Florida, fitted to a Cessna 182. The Epic Eagle is also claimed to reduce the potential for vertigo by less head movement in IFR conditions, and help set up a stabilised approach and visualisation of the intended point of landing. The Epic Eagle HUD is reviewed in full in the May 2018 issue of FLYER.